The Polestar 1 is a wildly beautiful coupe that, when it first was announced, you couldn’t really buy. All we knew was that it’d be part of Volvo’s “car subscription” program. Now we have more details on how the pricing thereof shakes out, and yes, a confirmation that you can actually buy the car if you want to. The Polestar consumer experience is based on a new subscription model, where customers will be able to subscribe to their Polestar car for two or three years... Customers will also be able to purchase the Polestar 1 outright if desired. That release also detailed that 1 at pre-orders will open 13 March 2018, asking for a (refundable) deposit of $3,105. 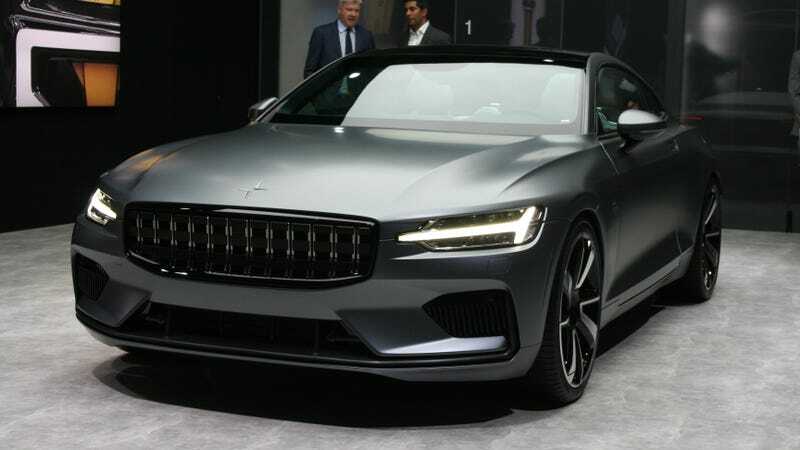 After the initial launch, it sounds like Polestar will primarily put the 1 into people’s hands through a two or three year subscription that does not include or require a deposit. But the outright-purchase option will be good for people who may be skeptical of the subscription concept or, you know, just like the idea of actually owning a car. The subscription model is cool (you pay a monthly fee over a course of two or three years and you get to have the car while things like insurance and maintenance are included), but it’s definitely not for everyone. Options are good. I can’t wait to start seeing these things on the road.